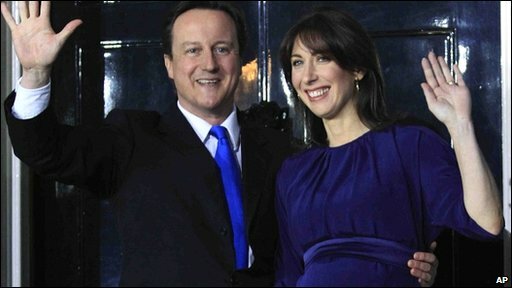 Conservative leader David Cameron has become the UK's new prime minister after the resignation of Gordon Brown. Lib Dem leader Nick Clegg will be his deputy after they agreed to the UK's first coalition government in 70 years. Mr Clegg said he acknowledged some Lib Dem voters would have doubts about the deal but urged them to "keep faith". Mr Cameron's party won the most seats in the general election last week, but not enough to secure an overall Commons majority, resulting in a hung Parliament. 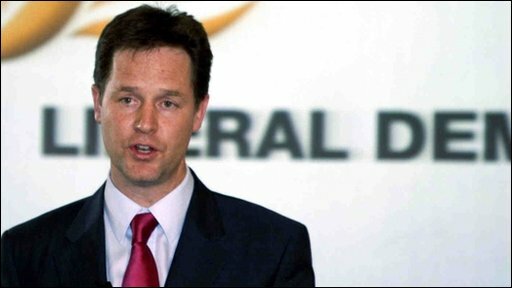 Speaking minutes later, Mr Clegg said: "I hope this is the start of the new politics I have always believed in - diverse, plural, where politicians of different persuasions come together, overcome their differences in order to deliver good government for the sake of the whole country." He acknowledged there would be problems and "glitches" and, in a message to Lib Dem voters, he added: "I can imagine this evening you'll be having many questions, maybe many doubts, about this new governing arrangement. "But I want to assure you that I wouldn't have entered into this agreement unless I was genuinely convinced that it offers a unique opportunity to deliver the kind of changes you and I believe in. 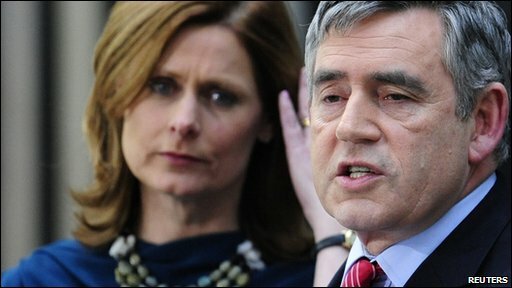 "So I hope you'll keep faith with us, I hope you will let us prove to you that we can serve you and this country with humility, with fairness at the heart of everything we do, and with total dedication to the interests and livelihoods of everyone in Great Britain." Mr Cameron has begun the work of appointing his first cabinet, with the Tories' George Osborne as chancellor, William Hague as foreign secretary and Liam Fox as defence secretary. Lib Dem Treasury spokesman Vince Cable has been given responsibility for "business and banks" but it is not known if his title will be chief secretary to the Treasury, a senior Lib Dem source said. The Conservatives had been in days of negotiations with the Lib Dems - who also negotiated with Labour - after last Thursday's UK election. Labour's Lord Mandelson told the BBC they had been "up for" a deal, but the Lib Dems had "created so many barriers and obstacles that perhaps they thought their interests lay on the Tory side, on the Conservative side, rather than the progressive side".